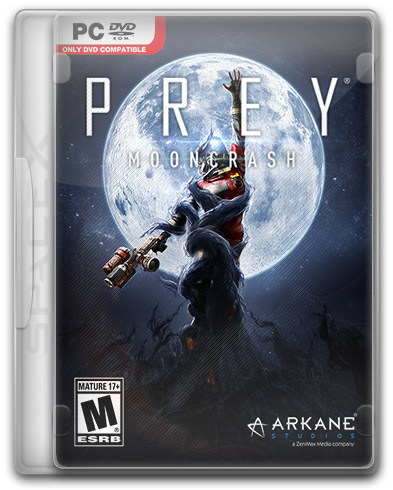 Prey - Mooncrash is an independent addition to the game Prey. Soon after the Talos-1 disaster, the Transtar corporation is losing contact with the secret base on the Moon. Peter, the protagonist of Prey: Mooncrash, is a satellite operator who conducts intelligence reconnaissance in favor of Kasma, the main competitor of Transtar. Terms of the contract between Peter and "Kasmo" do not leave a spy of choice: to return to Earth and again to see his wife and son, the hero must at all costs find out what happened at the lunar base "Pifei". The Transtar lunar base was filled with typhons, and if you do not want to become their prey, you will have to move. Each time the path to salvation will be a little different: when you proceed to the next passage, the situation on the "Pife" is generated anew - in the best traditions of the genre rogue-lite. Be ready: eventually enemies become more and more deadly, and in the pantry, which last time saved your life, now may be a certain death. HUMANITY Typhons once again threaten humanity - and their ecosystem has become even more diverse and deadly. Use all means available to you, including popular weapons and abilities from the main Prey campaign, to survive and quickly get out of the base. Mooncrash is made with the traditional for Arkane Studios attention to the smallest details. Explore the base, the area of ​​which is equal to the four levels of the Talos-1 station, gather resources - and beware of facial expressions!